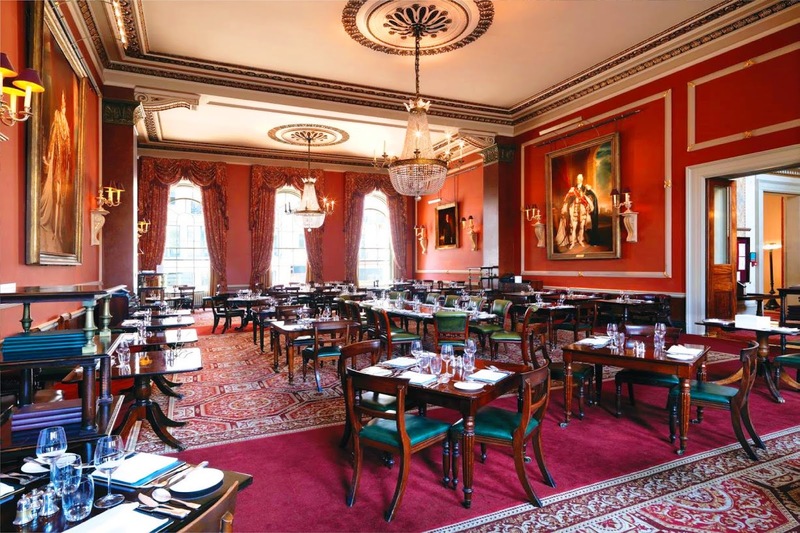 Urbina Vinos Blog: Oxford and Cambridge Club in London "Urbina Wine Dinner"
Oxford and Cambridge Club in London "Urbina Wine Dinner"
Los clubes de caballeros surgieron en Londres en el S. XVII. Estos locales privados eran (y son) sitio de encuentro y reunión para la clase más acaudalada de la sociedad, un lugar donde conversar, jugar, apostar, beber e incluso quedarse a pasar la noche. No fue hasta el S. XIX cuando estos exclusivos clubes se hicieron especialmente famosos entre las economías más boyantes de la capital británica. Y es que desde su nacimiento hasta la actualidad, estos lujosos enclaves han visto pasar por sus salones a rostros relacionados con el mundo de la política, el arte, la ciencia, la literatura o incluso la monarquía. Aunque los clubes privados pasan totalmente desapercibidos para el grueso de la sociedad, lo cierto es que, a día de hoy, todavía siguen existiendo. Y es que el hermetismo y la exclusividad siguen siendo las señas de identidad de unos locales que, a pesar de no vivir su máximo apogeo, siguen siendo lugares frecuentados por las altas esferas de la sociedad londinense. 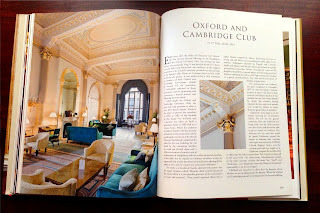 "Oxford y Cambridge Club" es un club londinense tradicional. El Club es el resultado de una union de clubes universitarios, el más reciente fue el de 1972 entre el United University Club, fundado en 1821, y el Oxford y Cambridge University Club, fundado en 1830. 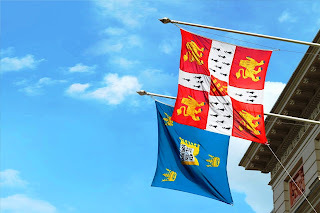 Desde 1972 hasta 2001 el Club era conocido como United Oxford y Cambridge University Club, en 2001 volvió a su nombre original de Oxford y Cambridge Club. En junio de 2017, el Club eligió a su primera mujer presidenta. The club is delighted to welcome Pedro Urbina Jr. from Bodegas Benito Urbina, a family-owned and managed Single Estate situated in Cuzcurrita, Rioja Alta. Four generations of the family have devoted themselves to the cultivation of their vineyards and the production of wine since 1870. 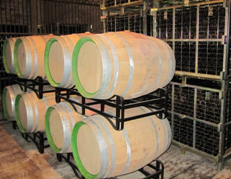 The outstanding quality of the wines has been achieved as the result of careful viticulture using traditional techniques, harvesting by hand, the application of organic fertilizers only, avoiding weed killers and pesticides and the use of indigenous yeasts. The Rioja Alta area, with mainly clay-calcareous soils, produces wines with a great capacity for ageing and Pedro is showing three reds from vintages in the 1990s together with a young white wine from vines grown in clay-ferrous vineyards. Four Urbina wines were selected in the 2017 Top 100 Rioja 10x10 blind tasting, including the three reds shown tonight. 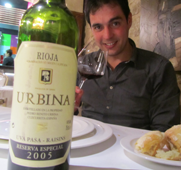 Following this, ‘Rioja Recognises’ recently organized an evening event to present a selection of nine of the highest-scoring wines, among which were the Urbina 1999 Selección and their Crianza. 2014 Appointed new member of the "Cofradía del Vino de Rioja". 2012 Partner of the "Diario La Rioja". Spreading the culture of wine, with a full page every week. Seventh oldest newspaper in Spain that publishes and distributes since 1889, with a current circulation of about 16,000 copies a day. 2010 Appointed member of the "Association of sommeliers from Rioja". 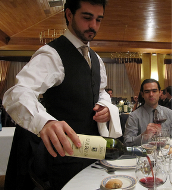 2009 Nominated Golden Nose of La Rioja (The most prestigious sommelier competition in Spain): Over 400 working professionals attend each year to become the new Golden Nose. 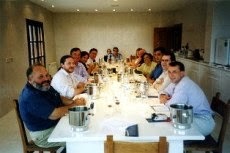 2006 Appointed member of the Committees Tasting the Regulatory Council of the Denomination of Origin Rioja. 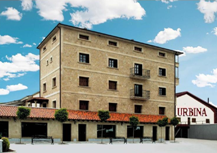 2005-2014 Bodegas Urbina (La Rioja - Spain): Head of Sales; Development and production of wine; Maintenance of the vineyard. 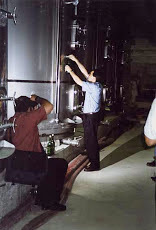 2003-2004 Frey Vineyards (California - USA): Organization and presentation of wine tastings; Representative at trade shows; Winemaking and wine production; Maintenance Vineyard. - Adress: 71 Pall Mall, London. - Información: Private Members Club for Oxford and Cambridge alumni. 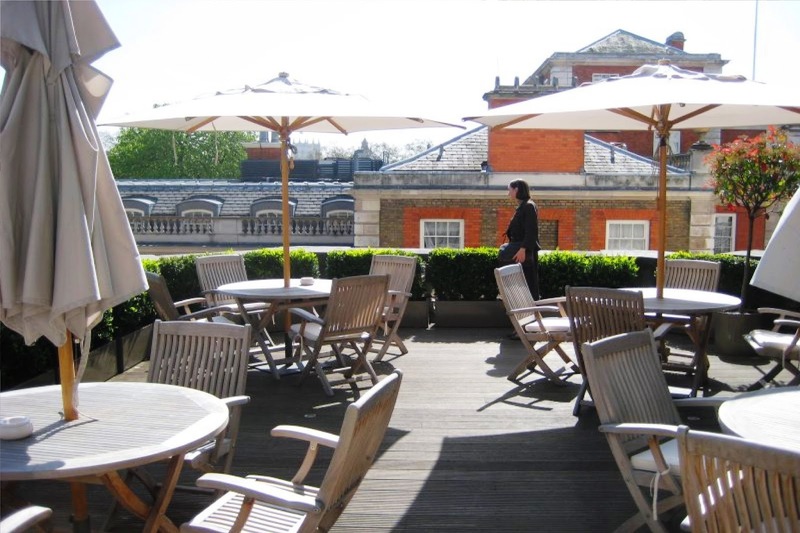 - Directions and Location: The Club is situated on the south side of Pall Mall, close to St James’s Palace. 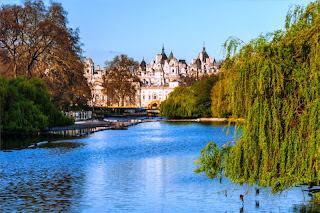 The nearest Underground station is Green Park, which serves the Piccadilly, Jubilee and Victoria Lines. The Oxford and Cambridge Club is a traditional London Club. The Club is the result of a number of amalgamations of university clubs, most recently that of 1972 between the United University Club, founded in 1821, and the Oxford and Cambridge University Club, founded in 1830. From 1972 until 2001 the Club was known as the United Oxford and Cambridge University Club, in 2001 it reverted to its original name of the Oxford and Cambridge Club. In June 2017 the Club elected its first female Chairman. 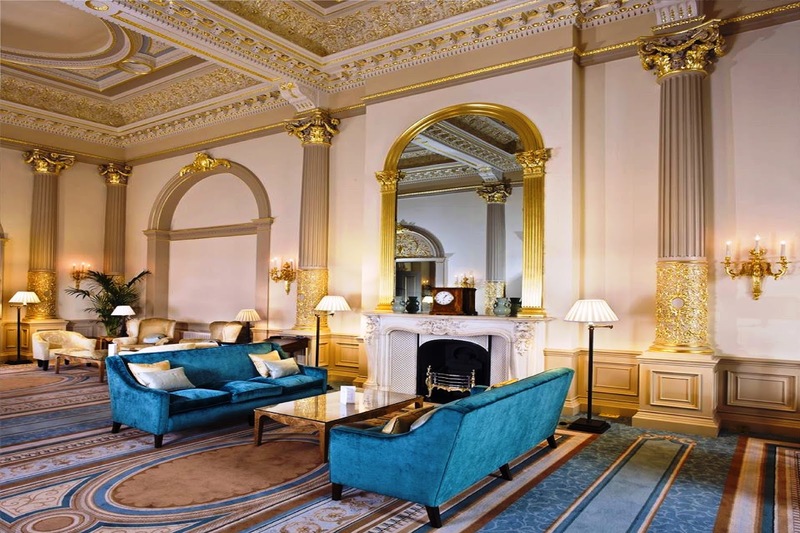 For nearly 200 years alumni of the two ancient universities have chosen to take up membership and enjoy the outstanding amenities and sophisticated setting of a Grade II listed Clubhouse in the very heart of London. 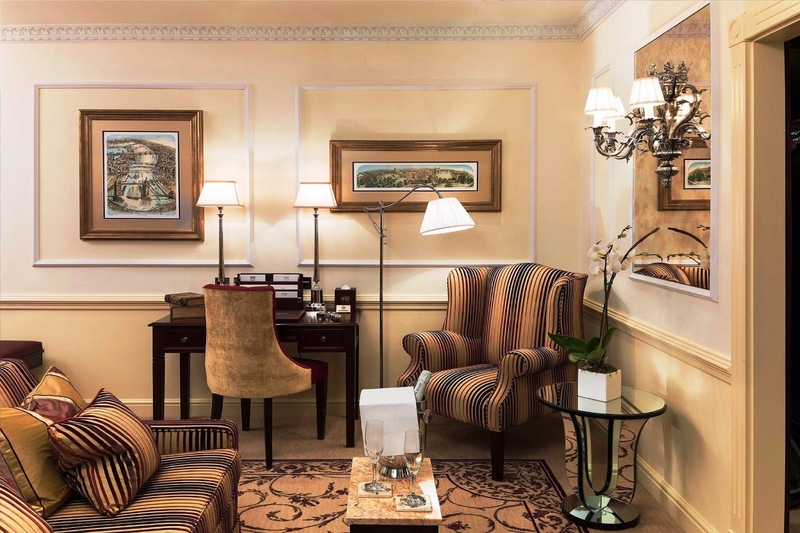 Spacious, private and well-appointed, the Club enables members to meet friends and colleagues in magnificent surroundings, host a party, relax or simply find a quiet place to work. 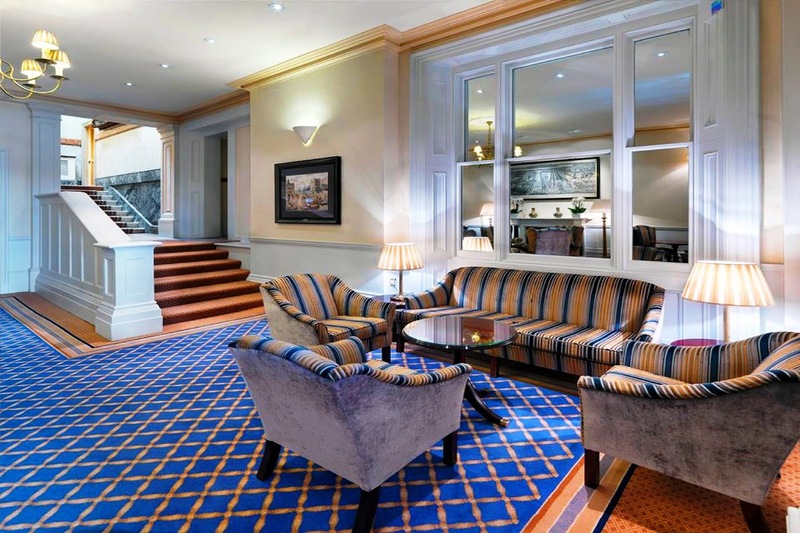 With its elegant Coffee Room, large and well-maintained library, two bars, more than 40 bedrooms and its own sports facilities, the Oxford and Cambridge Club is ideally located for entertaining, relaxation and business. - Book Accommodation: Offering a peaceful retreat in the heart of London, the Club’s more than 40 well-equipped bedrooms are available at attractive rates throughout the year. 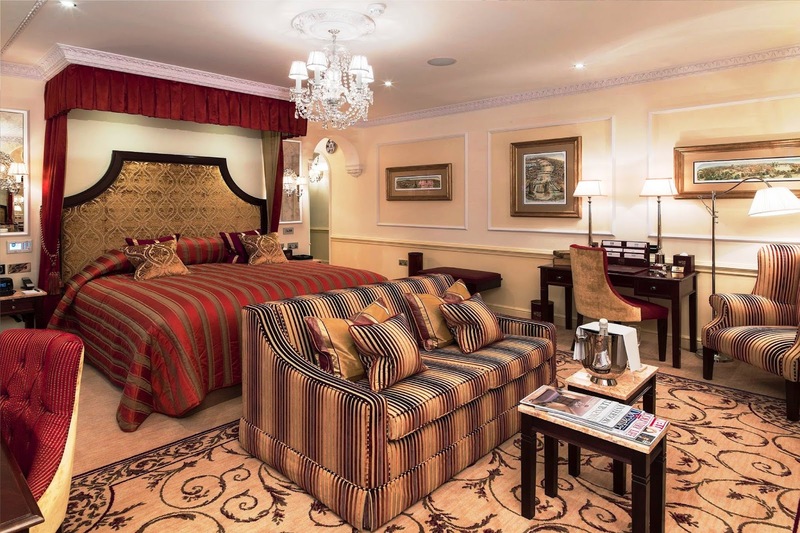 All rooms have comfortable beds with super king-sized pillows, plush goose down duvets, high thread count Egyptian cotton sheets, and many with Vispring mattresses. All rooms also have flat screen televisions, and tea and coffee making facilities. 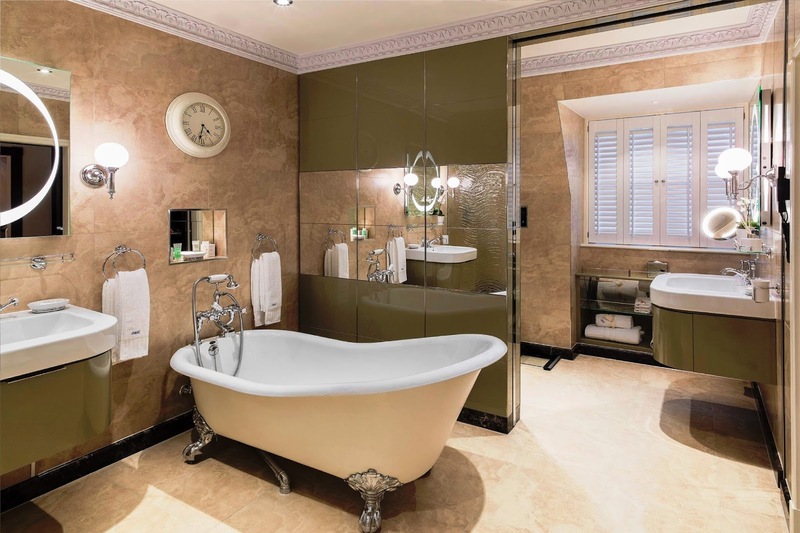 The en suite bathrooms are equipped with Molton Brown toiletries, and free Wi-Fi access is available throughout the Club house. Continental Breakfast and a complimentary newspaper are included. Internal Bedrooms are air conditioned and include a skylight or non-opening window. Prices are inclusive of taxes and service charges.hire for social or business purposes. 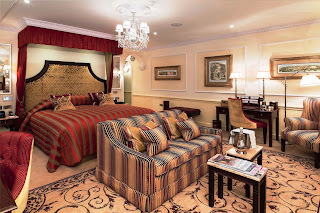 All in all, the Club is well appointed to accommodate your leisure or business interests. - Younger Members: The Club has a thriving Younger Members’ Committee that hosts a number of its own events for under 35s, participates in those jointly organised with the younger members of other London clubs and, through its members’ attendance at the Club’s annual receptions at Oxford and Cambridge, works to foster closer ties with both Universities. Links with other West End clubs are maintained through the Inter-Club Group that was established to ensure that London clubs’ younger members enjoy club life to the full. The Inter-Club Group enables Oxford and Cambridge Club members to benefit from a lively programme of events held at all 18 participating clubs. 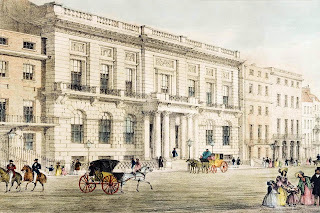 - History: The Oxford and Cambridge Club is the result of a number of amalgamations, most recently between the United University Club of 1821 and the Oxford and Cambridge University Club, which was established nine years later. Members, both men and women, are drawn exclusively from the alumni and senior staff of both universities. Distinguished former members include Palmerston, Canning, Melbourne and Macmillan, the Duke of Wellington, William Thackeray and TS Eliot. 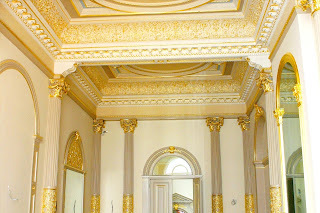 The Club house was designed by Sir Robert Smirke, the architect of the British Museum, and was completed in 1838. 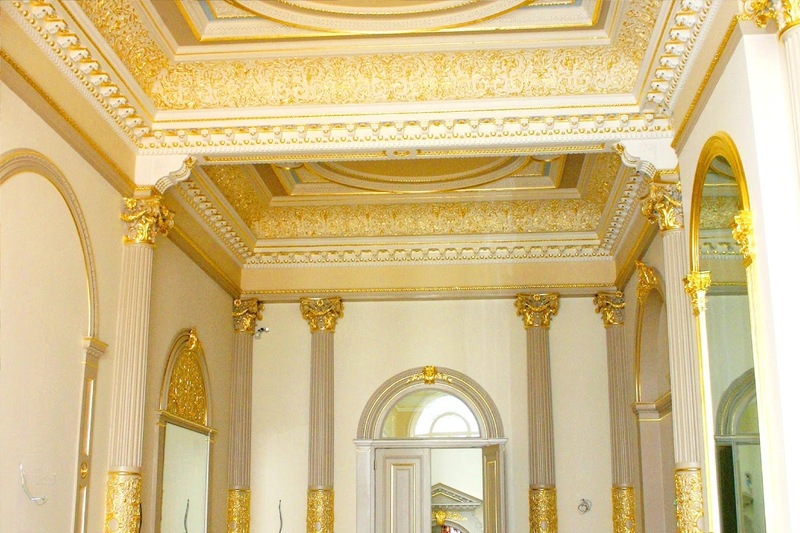 An important example of the fashionable Greek Revival style, the façade conceals a magnificent yet elegantly understated neoclassical interior. 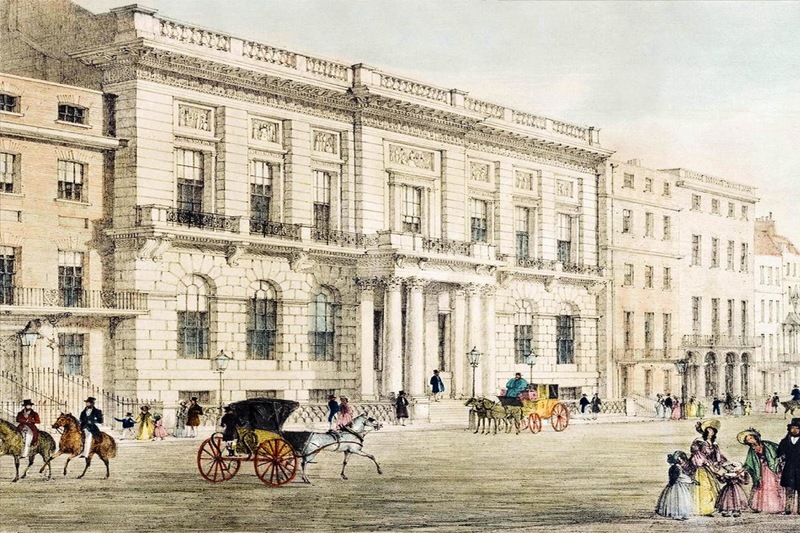 Unlike a number of other notable buildings on this part of the Crown Estate, the Club survived the war largely undamaged (a parachute mine landed in the kitchen but failed to detonate). Since then extensions and discreet improvements have been made to ensure it continues to meet its members’ needs, but always in keeping with the traditional atmosphere and ambience of this exceptional West End landmark. 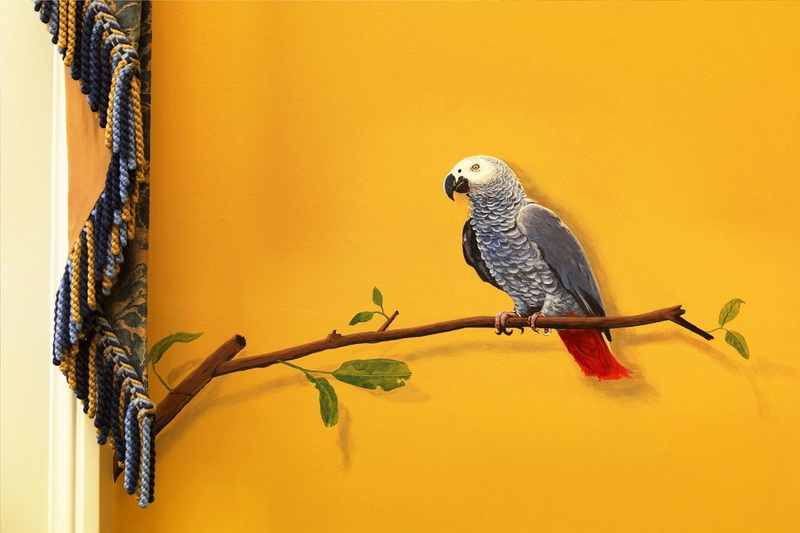 Membership of the Club means joining a worldwide network of over 4,500 other Oxford and Cambridge University alumni. These range from undergraduates and recent graduates to those who matriculated before World War II, and over 1,600 are from overseas. Lord Sainsbury and Lord Patten are Honorary Members, as Chancellors of the two universities. So too are the Vice Chancellors and most Heads of House together with HRH the Prince of Wales, HRH The Duke of Edinburgh, HM Queen Margarethe ΙΙ of Denmark, HM King Harald V of Norway and His Majesty King Philippe of the Belgians. Sport has traditionally played a key role in Club life and Members are able to participate in a variety of different pursuits. Some choose to compete against their fellow Members and those from rival clubs, others simply care to enjoy themselves among friends. 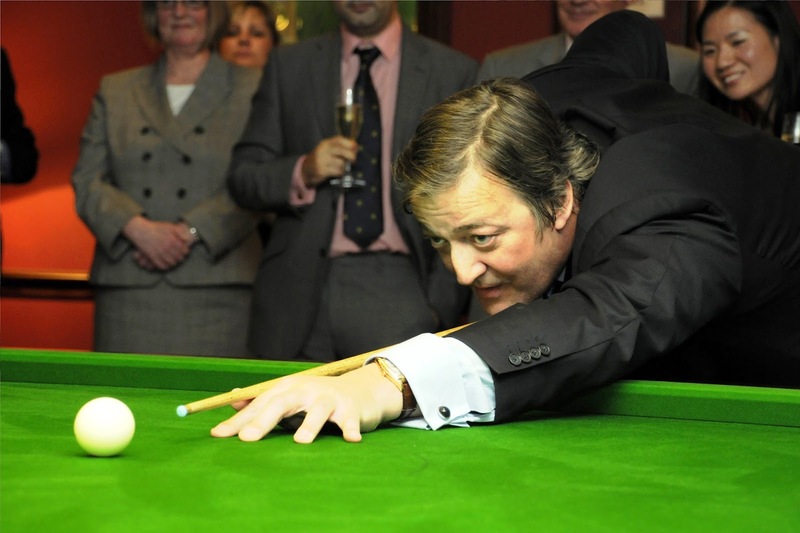 - Billiards and Snooker: The Billiard Room has a competition sized table and equipment for Billiards, Snooker and Pool. The room has comfortable chairs and an attractive collection of books and prints. A service bell allows members to procure refreshments without interrupting play. - Bridge: An active bridge section arranges regular sessions in the Smoking Room as well as matches against other London clubs. - Chess and Backgammon: Chess and backgammon boards are permanently set up in the Club for those wishing to play. The Club also fields a chess team for regular Inter-Club matches. - Golf: The Club has an active Golf Section whose activities include matches against the University second teams, the Divots and the Stymies, and also against other traditional Pall Mall Clubs as well as teams from Golf Clubs within the London area. An Annual Golf Day has been held at Huntercombe GC since 1927 and there is now also an affiliate membership scheme with Huntercombe available to registered Oxford and Cambridge Club golfers. - Squash: The Club has two squash courts and a squash coach for Members wishing to improve their game. 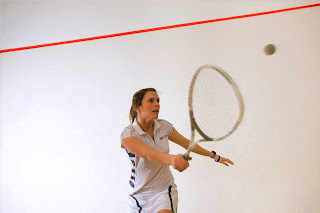 Players of all standards are welcome at in-house tournaments, and each year the Club competes with others for the prestigious Bath Cup. The Club arranges a wide variety of events for members and their guests. Some are purely convivial, such as the Burns Night Supper or the Summer Cocktail Party and Dinner, other, such as the Writer’s Lunches (at which authors discuss their books) or Discussion Dinners (at which distinguished speakers address a wide variety of topics – political, scientific, and historical – and take questions) or Early Evening Lectures have an intellectual component. The Club holds Musical Evenings, Wine Dinners and Tutored (non-competitive) Wine Tastings. Among the distinguished speakers to have attended events at the Club in the recent past are: HM King Harald V of Norway; HM Queen Margrethe II of Denmark; The Earl Spencer; Sir David Wootton, past Lord Mayor of the City of London; Stephen Fry; Henry Blofeld; Shami Chakrabarti. The Club also organizes off-site activities, such as visits to monuments, the Varsity Match at Twickenham or Beating Retreat. Each year the Club organizes an overseas trip destinations have included Paris, St Petersburg, Sicily and the Nile. In addition to formal Club Events, members organize themselves into Special Interest Groups that arrange their own events and trips. Examples are the Literature Table, the Art History Group and the Military History Group. - Business Area: The Club’s dedicated Business Area provides relaxed surroundings for informal meetings, and a quiet place where members can work undisturbed, with tea and coffee available throughout the day. The Club’s free wireless internet connection enables Members to use their own laptops or the computers and printing facilities provided. 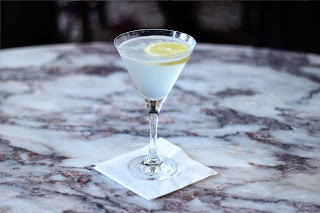 - Food and Wine: Club member William Gladstone was fond of ‘beer, cheese and a chop’ and during the earliest days the menu included lampreys, eel pie and lark pudding. Our reputation reflects a long history of fine cuisine and an outstanding cellar, although unlike their Victorian predecessors Members are no longer encouraged to send their personal cooks to the kitchens to undertake ‘improver’ courses. 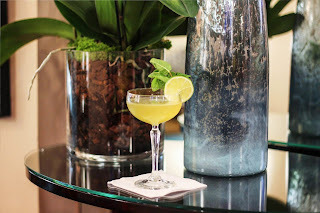 The more modern Gallery Bar at the Club serves food and drinks from Monday to Saturday. With a more relaxed atmosphere and its own bistro-style menu, the Gallery Bar is the perfect place to enjoy some hot or cold meals or snacks with friends and family. From Monday to Friday, the Blomfield Room offers a light breakfast and lunchtime buffet – a fast, efficient and popular service with those working locally or making a flying visit. Throughout the day, a tea menu is also available in the Drawing Room and Libraries. - Library: Much valued by Members, and one of the finest of its kind in London, the Library occupies three spacious and beautifully appointed rooms. It comprises over 20,000 volumes that are cared by a professional Librarian in attendance throughout the week. Particularly strong in history, biography, literature and works dealing with the cities of Oxford, Cambridge and London, most of the books are available for members to borrow. 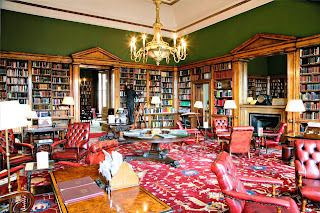 One room is designated as a Silence Library for those who wish to work or research in peace, but quiet conversation is permitted in the North and South Libraries where members may take tea or coffee whilst perusing the more than 70 periodicals and national newspapers to which the Club subscribes. New acquisitions are regularly made by the Library Committee, which meets regularly in order to maintain a well-balanced and useful choice of books and magazines. A special arrangement with the London Library in St James’s Square the world’s largest private library, means that Members may borrow from its more than 1,000,000 volumes. 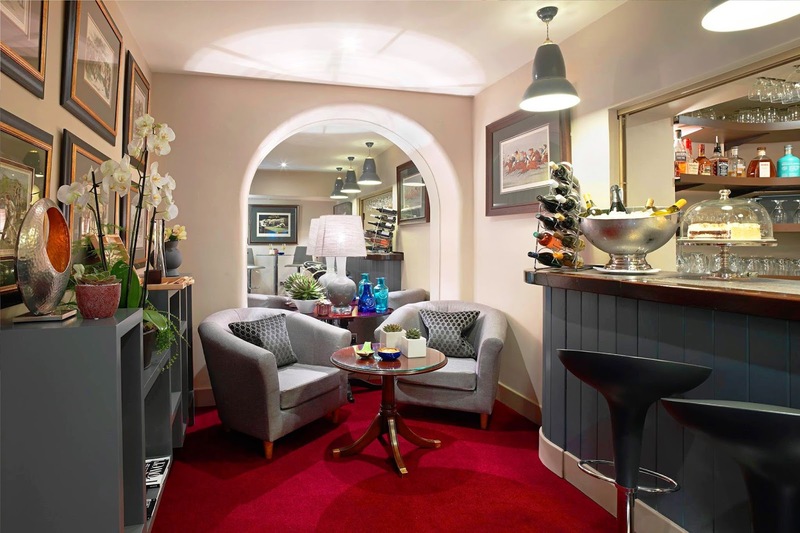 - Private Functions: The Club house is particularly well suited to the demands of modern entertaining, and the highly experienced banqueting staff plan and organise events ranging from small private lunches and business meetings to parties and receptions for 150 or more. 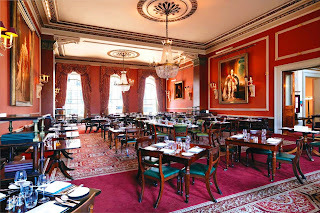 The Club has four dedicated function rooms: Princess Marie Louise Room; Marlborough Room; King Edward VII Room; St James’s Room Each can be configured for cocktail receptions, dinners, business meetings and lectures, and for larger functions it may be possible to book one of the public rooms. 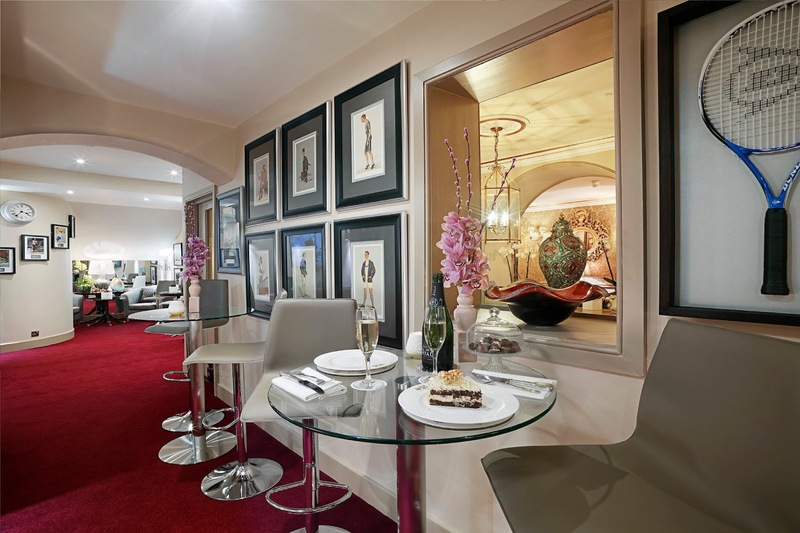 Reciprocal club members may use the Club for parties and private functions. - Club Menu: From the earliest days, the Club menu has been varied and distinguished and today our reputation reflects this history of fine cuisine with an exquisite selection of food and wine. 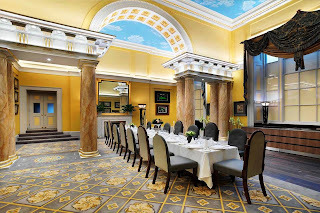 Breakfast, lunch and dinner are served seven days a week in the Coffee Room, the customary designation for the principal dining room in a London club. With a full a la carte menu, Chef provides a choice of traditional and contemporary selections for Members and their guests. From Monday to Friday, the Blomfield Room offers a light lunchtime buffet – the fast, efficient and more informal assisted service popular with those working locally or making a flying visit. 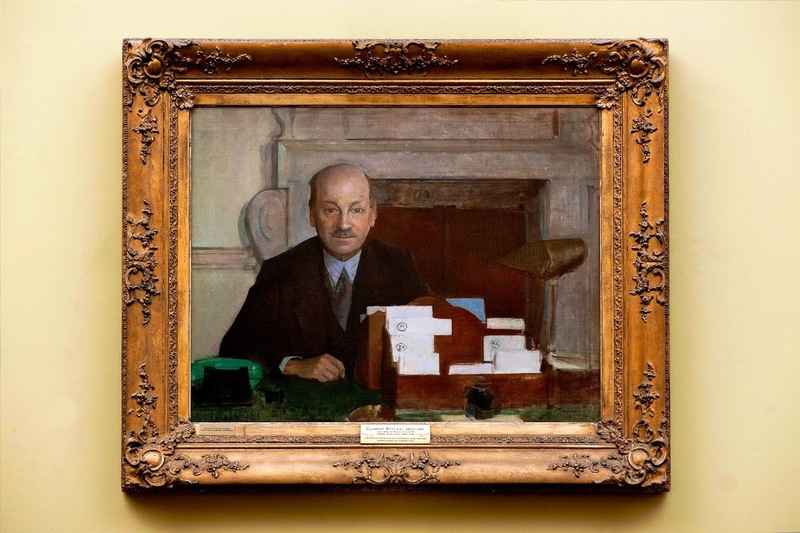 Throughout the day a tea menu is also available in the Drawing Room and Libraries, and on weekdays hot and cold snacks are available in the Gallery Bar. - Membership: Membership, which is by election, is open to those people who have received a degree or honorary degree from either the University of Oxford or the University of Cambridge, have been granted MA status or have been admitted as a full member of a college or hall in either university, or are members of the Congregation of the University of Oxford or the Regent House of the University of Cambridge. One of the ways in which the Club fosters its relationship with the two Universities is by offering honorary membership for their terms of office to the vice chancellors and heads of house. The club's separate membership policies for men and women came under attack in the mid-1990s. In February 1995, a statement signed by the heads of more than 70 Oxford and Cambridge colleges, two vice chancellors, and Oxford's chancellor, declared that the two universities were disassociating from the Club "because of what they called its 'offensive' and 'discriminatory' policies to women". Dr Peter North, the vice chancellor of Oxford, stated at the time that the "'university council has asked the law department to consider our legal position in relation to the use of the universities' names and our coats of arms'". Four months later, the club voted to allow lady associate members "access to the main staircase and the library", provided they pay an extra fee of £100. In February 1996, members of the club voted to admit women as full members. Queen Margrethe II of Denmark became the club's first Honorary Lady Member in 1997. - Club House and Facilities: The Club house, a Grade II listed building, was designed for the Oxford and Cambridge University Club by Sir Robert Smirke (perhaps best known for the British Museum). It opened to members in 1838. The facade is an important example of the Greek revival style with which Smirke was particularly associated. 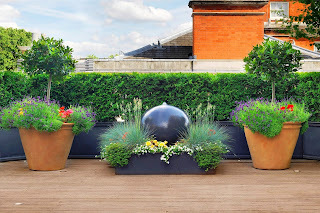 In 1952 the Club extended its premises to incorporate the neighbouring house, 77 Pall Mall, formerly the home of Princess Marie Louise, a granddaughter of Queen Victoria. Facilities available to members include bedrooms, an opulent Coffee Room (the traditional name for the principal dining room), serving breakfast, lunch and dinner seven days a week, two bars, two squash courts, a billiard room, a well-maintained library of over 20,000 books, with its own librarian, a roof terrace and a small business area. The Club arranges social, literary and sporting events. 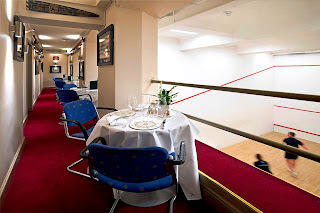 Members may also hire the Club’s function rooms for social or business purposes. 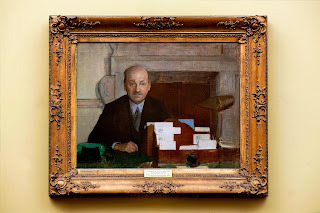 - Notable Members: Clement Attlee; Lord Blake; Benazir Bhutto; Iftikhar Bukhari; Anthony Bull; George Canning; Sir Raymond Carr; William Cavendish (7th Duke of Devonshire); Sir J. E. Eardley-Wilmot (Bart); Edward VII; T. S. Eliot; Stephen Fry; William Ewart Gladstone; Charles Grey, 2nd Earl Grey; General Sir John Hackett; William Harcourt; Lord Houghton; Roy Jenkins (honorary member); Anthony Kelly; Granville Leveson-Gower; Queen Margrethe II of Denmark (honorary member); Sir John Mowbray, 1st Baronet; Chris Patten (honorary member); Prince Philip, Duke of Edinburgh (honorary member); Stuart Piggott; Martin Rees, Baron Rees of Ludlow; Henry Temple, 3rd Viscount Palmerston; Arthur Wellesley, 1st Duke of Wellington (honorary member); Prince William Frederick, Duke of Gloucester and Edinburgh; Lord Wolfenden; Charles Wordsworth.